Second Year for Australia’s Popular Platinum Kangaroo Series! When Australia’s world-renowned Perth Mint issued its first-ever Platinum Kangaroo coins in 2018, collectors and platinum buyers were wild with excitement for these magnificent new bullion coins. Joining the gold and silver issues to create a veritable triumvirate of precious-metal kangaroos, the release became instantly popular the world over. And now, the 2019 Platinum Kangaroos have hopped onto the stage and are ready to hop into your collection! Struck in a full ounce of highly-pure 99.95% platinum, each $100 legal-tender coin features the familiar jumping kangaroo image as created by master coin designer Dr. Stuart Devlin. The design, which has appeared on Perth Mint bullion coins since 1990, is a lasting tribute to Dr. Devlin, who passed away in 2018 at the age of 86. This coin will also come in Gleaming Brilliant Uncirculated (BU) condition, as fresh and crisp as the day it left the mint. This 2019 coin has the high purity that platinum fans want with the beautiful craftsmanship that coin collectors crave! Pocket one of these fabulous coins now by clicking it to your cart today! ICONIC AUSTRALIAN DESIGN – Dr. Stuart Devlin's jumping kangaroo design is featured on the coin’s reverse along with stylized rays of sunlight surrounding the namesake kangaroo in mid-leap. The coin’s title, year, weight and purity – along with the Perth Mint's "P" mintmark – are also on display, inscribed into a circular field of tightly engraved lines. BEAUTIFULLY CRAFTED, HIGHLY PURE PLATINUM – As you can tell, this bullion coin is anything but boring! The artisans at the Perth Mint take extraordinary care in transforming one-ounce planchets of 99.95% pure platinum into works of lustrous art. 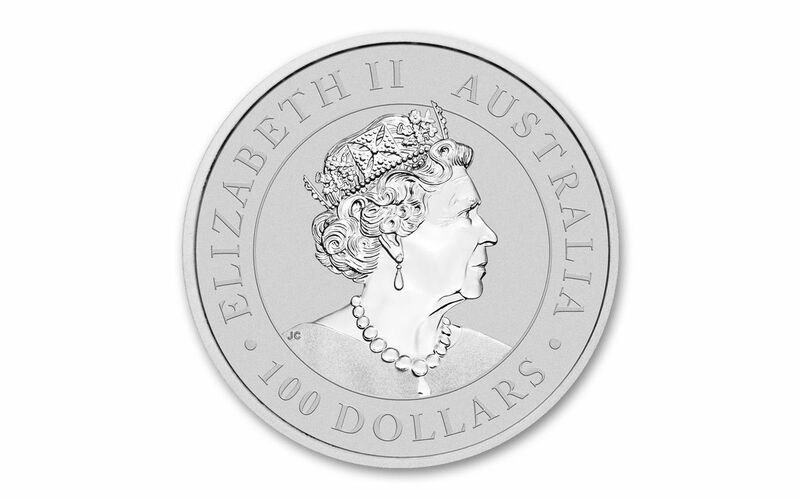 AUSTRALIA LEGAL TENDER – Each 2019 One-Ounce Platinum Kangaroo is 100 dollars Australia legal tender, a fact exhibited on each coin's obverse along with Ian Rank-Broadley's profile of Her Majesty Queen Elizabeth II. 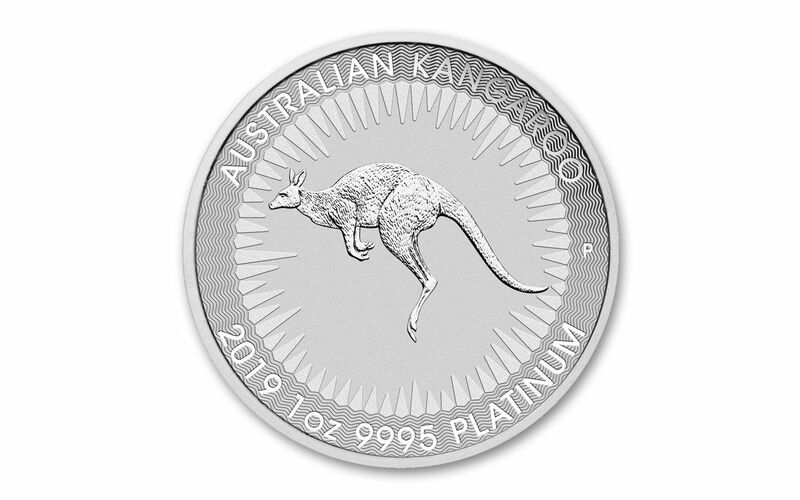 BRILLIANT UNCIRCULATED CONDITION – Your 2019 Platinum Kangaroo will arrive to you in Brilliant Uncirculated (BU) condition, exactly as it left the Perth Mint, in a protective acrylic capsule. Due to their stellar international reputation, Australian Kangaroos are constantly met with high demand. If you're an Australian Kangaroo collector, a platinum fanatic or a bit of both, this 2019 coin is one not to miss. Order yours now!